Go meatless with our easy, healthy and delicious vegetarian recipes that are sure to satisfy both vegetarians and meat-eaters alike. 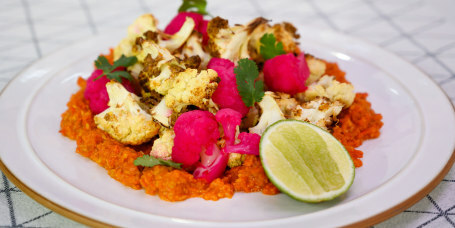 Serve cauliflower with a spicy coconut glaze and nutty romesco sauce for an exciting vegetarian dish. 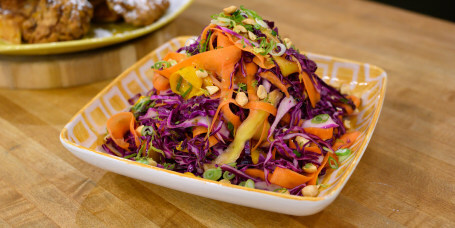 Add extra crunch and sweetness to slaw with tropical mango and peanuts. 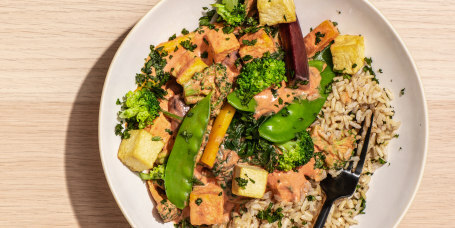 Make restaurant-style Thai curry at home with fresh vegetables, coconut milk and tofu. 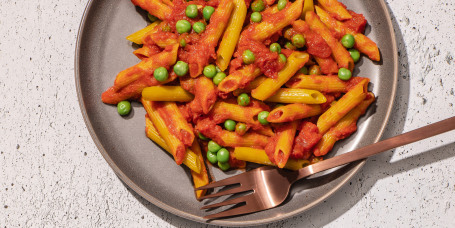 Amp up the flavor and texture of tomato sauce with fresh carrots, peas and onions. 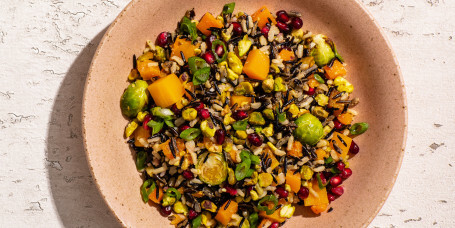 Serve a more exciting side dish with wild rice salad with pomegranate seeds, scallions and kale. 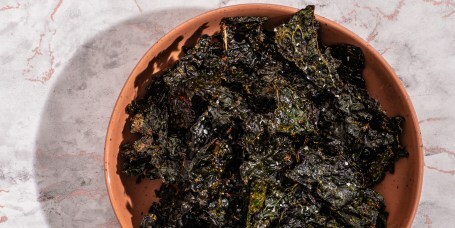 Skip store bought snacks and bake up a quick batch of crunchy kale chips. 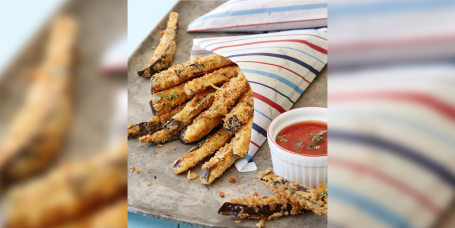 Joy Bauer makes fries exciting — and healthier — with crispy eggplant, Parmesan cheese and tomato sauce. 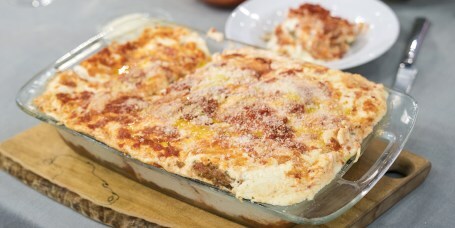 Bake up layered cheese and veggie pie designed by Kathie Lee Gifford for Fresco by Scotto restaurant over 20 years ago. 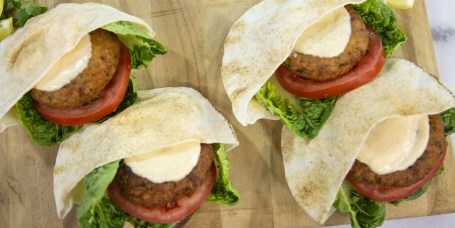 Enjoy vegetarian-friendly chickpea burgers filled with delicious spices, carrots and fresh herbs. 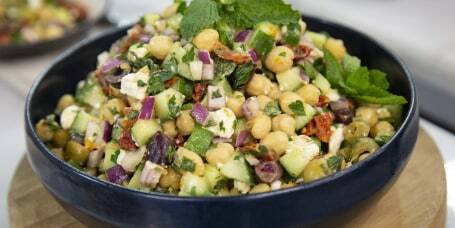 Toss tender chickpeas, herbs, olives and feta cheese together for a fast and fresh Mediterranean salad. 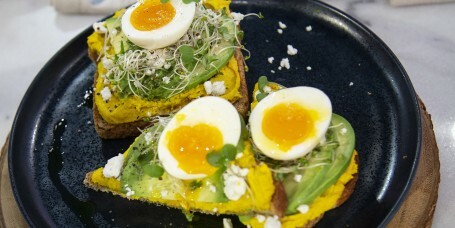 Add extra flavor to avocado toast with homemade hummus, goat cheese and fresh greens. 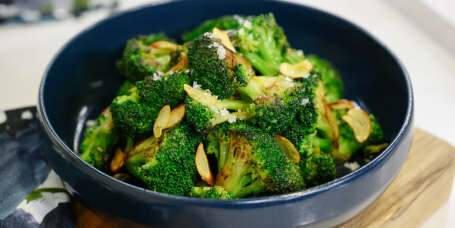 Simply sautéed broccoli with garlic makes the perfect side dish for any main course. Pesto gets even more flavorful with nutty pistachios, salty green olives and fresh parsley. 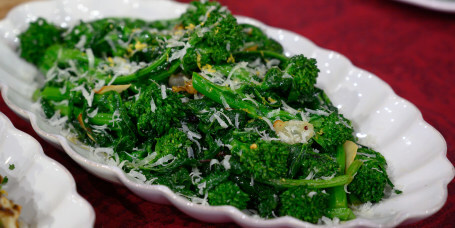 Top sautéed rapini with fresh lemon zest and grated Parmesan cheese for an easy Italian side dish. Tender butternut squash, sweet caramelized maple syrup and salty feta hit all the best flavor notes in this showstopper of a dish. 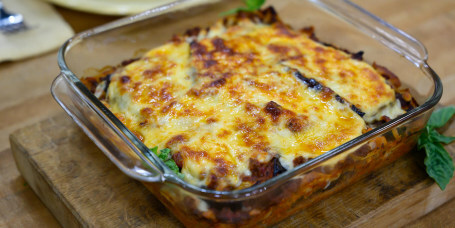 Cut calories and fat from lasagna with low-fat cheese, whole-wheat noodles and healthy eggplant. 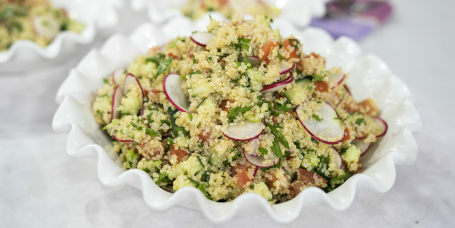 Swap bulgar for quinoa to add extra protein and flavor to traditional Middle Eastern tabbouleh salad. 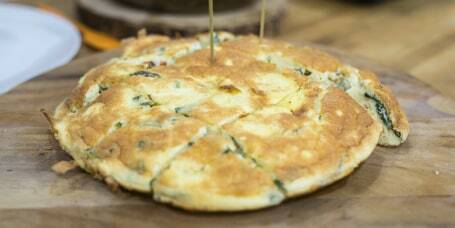 A fluffy, cheese- and veggie-filled frittata is excellent for easy entertaining. 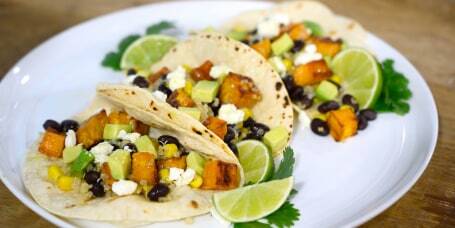 Give taco Tuesday a healthy makeover with sweet potato, black bean and quinoa tacos. 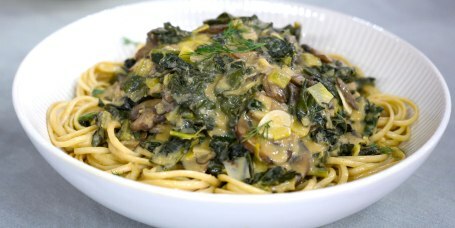 Make a vegetarian version of beef stroganoff with mushrooms, kale and beans. 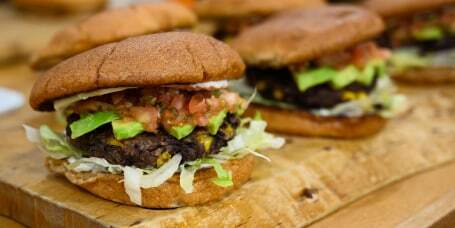 Sunny Anderson makes meatless black bean burgers with corn, oatmeal and garlic. 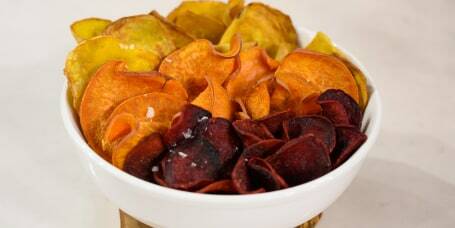 Sunny Anderson adds bright colors and fun flavors to chips with beets and sweet potatoes. 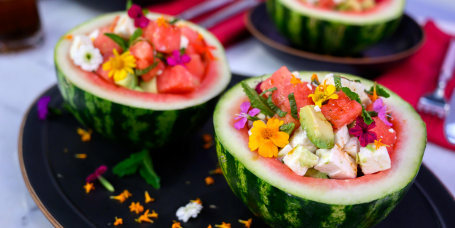 Juicy watermelon and creamy avocado pair perfectly in this quick and fresh salad. 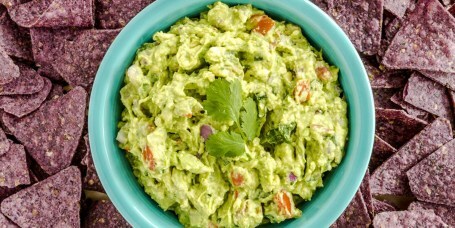 Add sweet, aromatic roasted garlic to guacamole for an easy flavor boost. 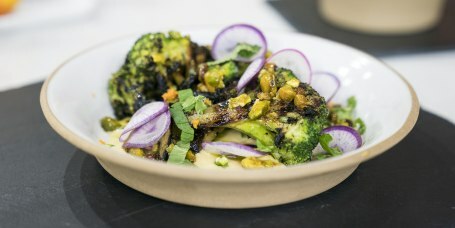 Broccoli becomes the main attraction in this wintry side dish with sweet oranges and crunchy pistachios. 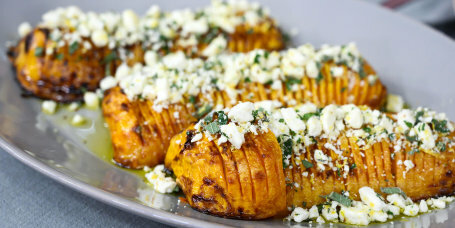 Substitute sweet butternut squash for plain potatoes to make fries even more fun and flavorful. 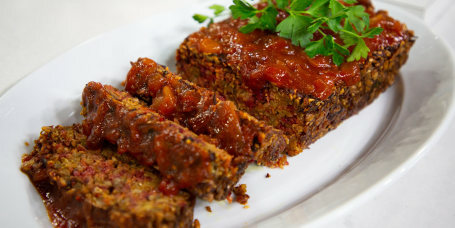 Meatloaf gets a healthy, but hearty, vegetarian makeover with brown rice, fresh beets and nutty sunflower seeds. 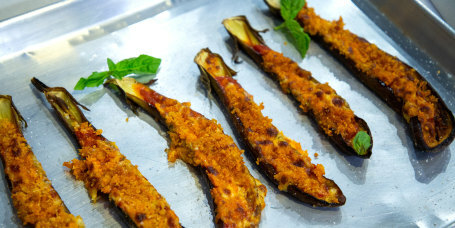 Giada cuts out calories, cook-time and messy cleanup from eggplant Parmesan by making it on a sheet pan. 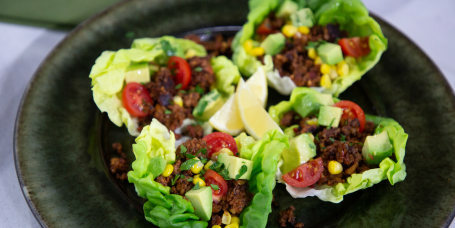 In Marco Borges' vegan taco recipe, mushroom 'chorizo' stands in for meat. 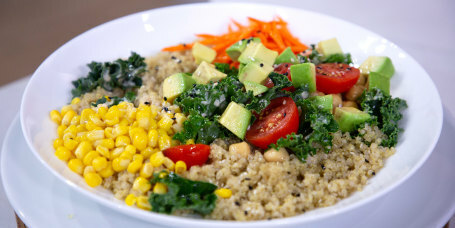 Top quinoa with kale, carrots, tomatoes, avocado, chickpeas and corn for this hearty and healthy vegan quinoa bowl recipe. 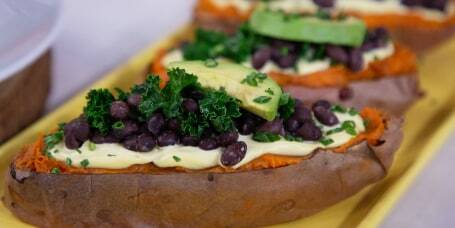 Marco Borges' loaded sweet potatoes are topped with black beans, kale, avocado and creamy cashew dressing. 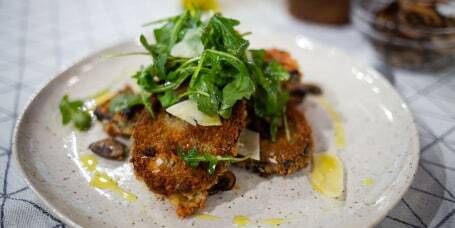 Bobby Flay's vegetarian Milanese recipe is made with eggplant instead of chicken. 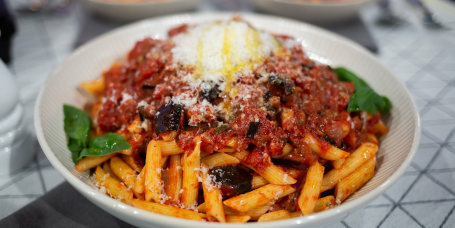 Bobby Flay shares his recipe for the popular eggplant Bolognese he serves at Gato. 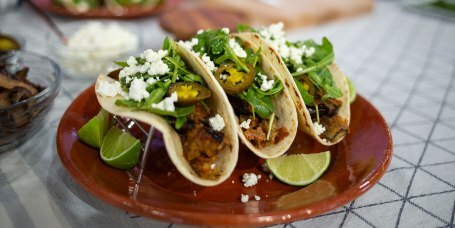 In this vegetarian taco recipe from Bobby Flay, eggplant is a hearty stand-in for meat. 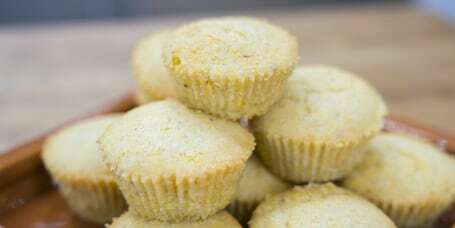 Chloe Coscarelli shares a recipe for vegan cornbread muffins with whipped maple butter. 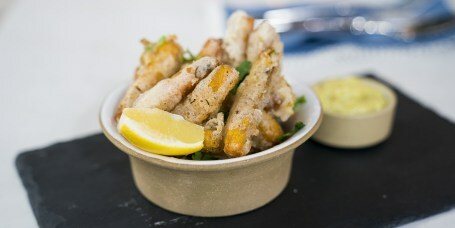 They'd be great with chili, soup or on their own. 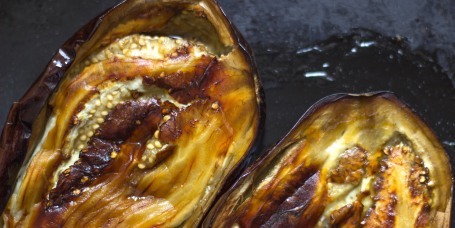 Make Bobby Flay's roasted eggplant recipe and you have the main ingredient for all sorts of meals, including tacos, Bolognese and more. 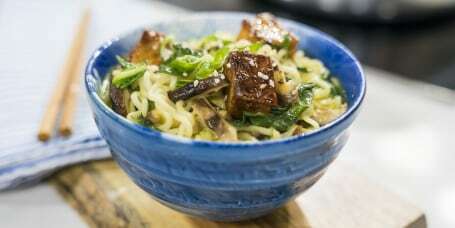 This vegan ramen bowl recipe is loaded with tofu, bok choy and mushrooms and has a savory broth with coconut milk. 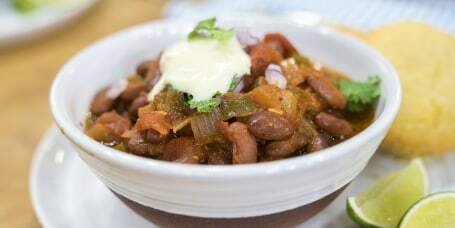 Chloe Coscarelli's vegan chili recipe is hearty, satisfying and comes together quickly. 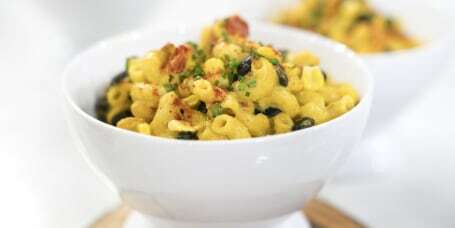 Chloe Coscarelli's Fiesta Mac & Cheese recipe is a combination of mac and cheese and tacos. It's very satisfying and vegan! 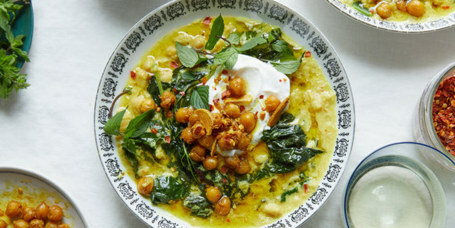 Alison Roman shares her famous spiced chickpea stew recipe — aka #TheStew from The New York Times that's taken social media by storm. 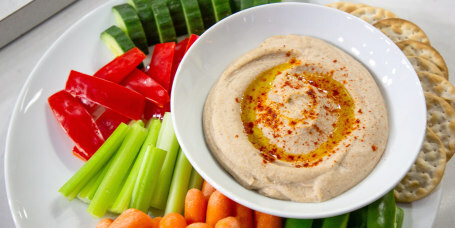 Matt Abdoo swaps out chickpeas for black-eyed peas in this easy hummus recipe. 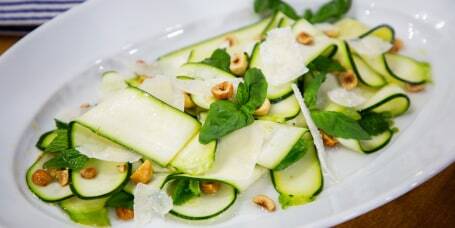 In this healthy recipe, zucchini is shaved into ribbons and dressed with a flavorful combination of herbs, lemon and honey.